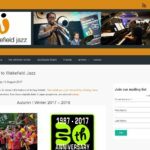 Wakefield Jazz is a not-for-profit organisation, founded in 1987 by Alec and Faith Sykes, who nurtured the club from its inception to national recognition. 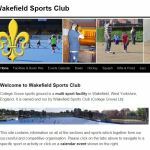 The club has had a long-term, friendly association with Wakefield Sports Club. This site is managed by Richard Gentle. 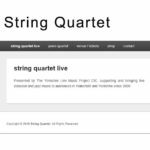 “Richard was recommended to me when the Jazz Club needed to refurbish our website and bring it up-to-date with regard to Social Media and our Archiving of gig images. He has done this in a conscientious way, not only responding to all aspects of the brief we gave him but in a proactive way suggesting improvements himself. As a result of the “success” of our site we have been asked about our webmaster, or I have recommended him, to all three other organisations with which I am associated (see below). “The requirements of the organisations have been diverse so not all their needs have had obvious solutions that Richard could “plug into”. In all cases he has sought solutions by research and generally arrived at results which have satisfied the customer. His greatest strength is his rapid acknowledgement of requests for action and, almost as frequently, rapid achievement of the actions sought. He is praised for this promptness of response by all those who have employed him. His fees and requests for expenses are very reasonable – in one case a competitor for a job withdrew saying he could not fulfill the brief for the budget offered (Richard did).” – Chris de Saram (deceased) former Promoter Wakefield Jazz, Chair NorVol Jazz, Board Member Wakefield Sports Club. College Grove sports ground is a multi sport facility in Wakefield, West Yorkshire, England. It is owned and run by Wakefield Sports Club (College Grove) Ltd. This site is managed by Richard Gentle. NorVol Jazz aims to grow the jazz audience and help members to prosper by sharing best practice and improving marketing and access to jazz for all. 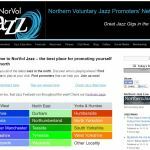 Membership is open to any volunteer supported organisations involved in jazz promotion in the Northern region of England. Flockton is a small village in Kirklees, West Yorkshire, England, UK, halfway between Huddersfield and Wakefield. 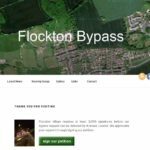 After seeing a massive increase in through traffic, residents are once again campaigning for a bypass, with the promise that Government has new funding for such schemes. 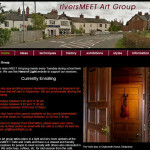 The riversMEET Art Group is based at the riversMEET Café & Crafts, Methley, Leeds. It takes place weekly during school term time and was originally run by Richard Gentle in his capacity as art teacher. The art sessions are now run by Caroline Marshall (who uses a facebook page), but the original site has been left for past students. Back in 1954 a group of a dozen or so friends and match anglers regularly met at the Prince Albert Pub in Newton Street, Macclesfield, Cheshire. They fished either on day tickets or as guests of one of the big fishing clubs of the day. This led to the idea that they should club together and rent a water of their own, “and the rest” as they say, “is history”. This site is managed by Richard Gentle. Presented by The Yorkshire Live Music Project CIC, supporting and bringing live classical and jazz music to audiences in Wakefield and Yorkshire since 2009. This site is managed by its owner and supported by Richard Gentle. Copyright © 2019 Gentle Enterprises. All Rights Reserved.